We often get asked where to stay in Kyoto by readers who are going to visit Japan. It’s not a surprising question since Kyoto is a large city with many different districts. 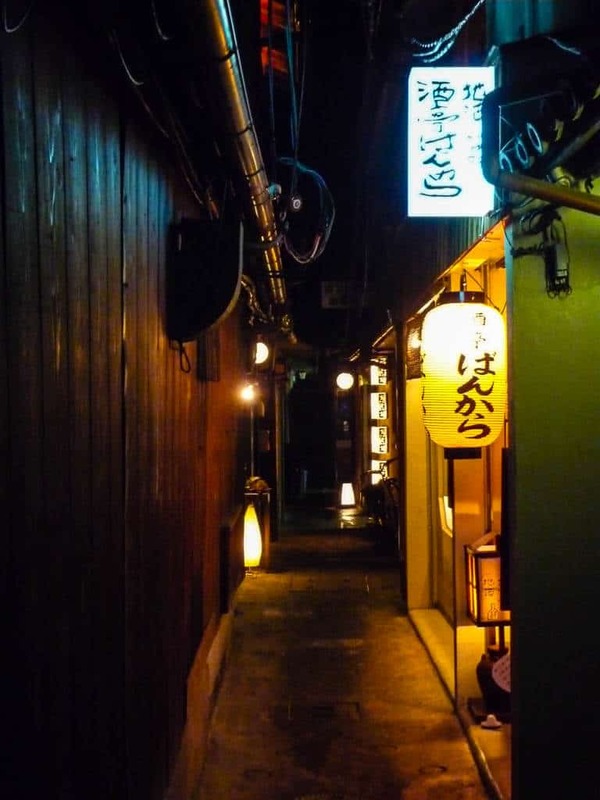 In this guide, we want to show you which areas to stay in Kyoto and add a few tips on what to see in each of the Kyoto neighbourhoods as well. Kyoto was by far one of our favourite areas in Japan. In fact, no trip to Japan is complete without a visit to Kyoto. The trouble is that it is so easy to get overwhelmed by all that Kyoto has to offer. The hardest part of recommending what areas to stay in Kyoto is that it really depends on what you’re looking for. 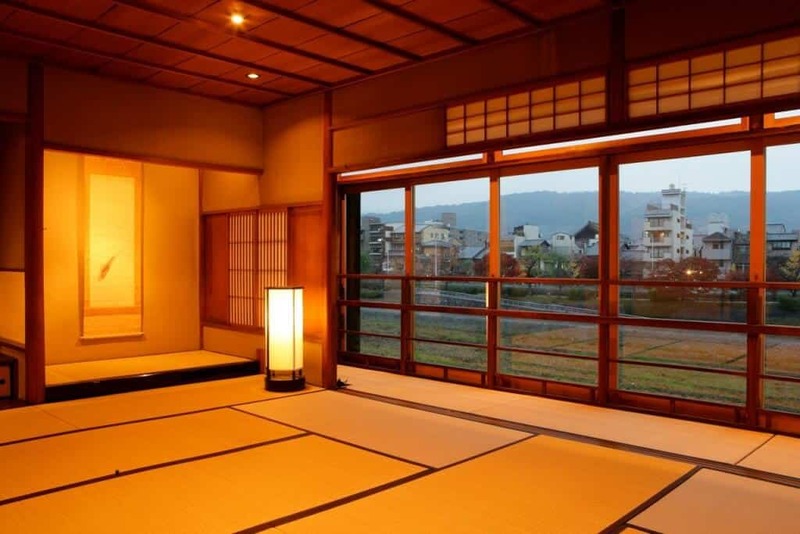 There is no ‘best area to stay in Kyoto’ as it all depends on what’s important for your trip. To help with this we’ve made a list of the best places in Kyoto based on what you might be looking for. We hope this helps you find the best area to stay in Kyoto during your trip as well as the best Kyoto accommodation for your stay. Some of the places to stay we recommend are ryokans and if this is your first visit to Kyoto these may need some explanation. A ryokan is very different from a western style hotel. The biggest difference is that traditional Japanese ryokans won’t have a bed in your room, instead, a tatami mat is rolled out on the floor in the evening. Some offer Kimonos and encourage you to wear them while you are in the Ryokan and all ryokans will expect you to take your shoes off when you enter. There is also often a public bath called an onsen in lieu of a private bath or shower, although many of the Ryokans we recommend do have private bathrooms. Don’t let this discourage you from staying in a ryokan however as it is truly an authentic way to experience local culture. On that note, if you are a female solo traveller and are heading to Japan for the first time check out this girl’s guide to travelling solo in Japan. 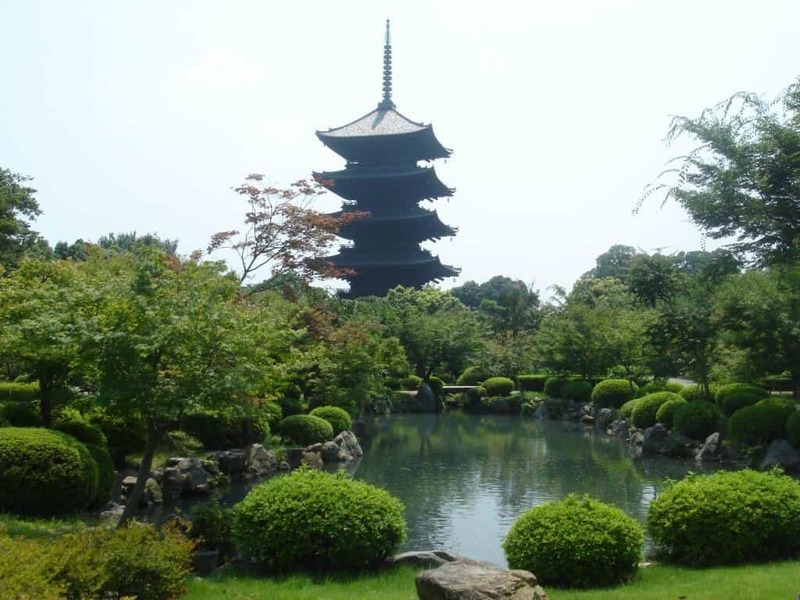 And if you are heading to Tokyo check out this wonderful 5 day Tokyo itinerary. 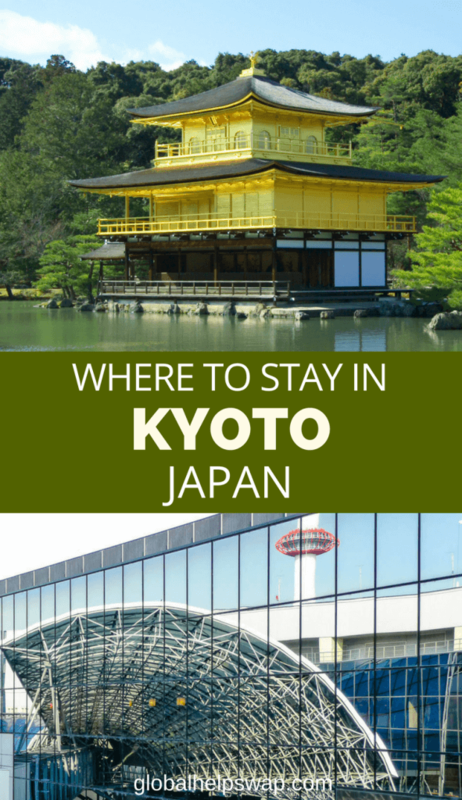 So with that in mind, let’s look at the best areas to stay in Kyoto. 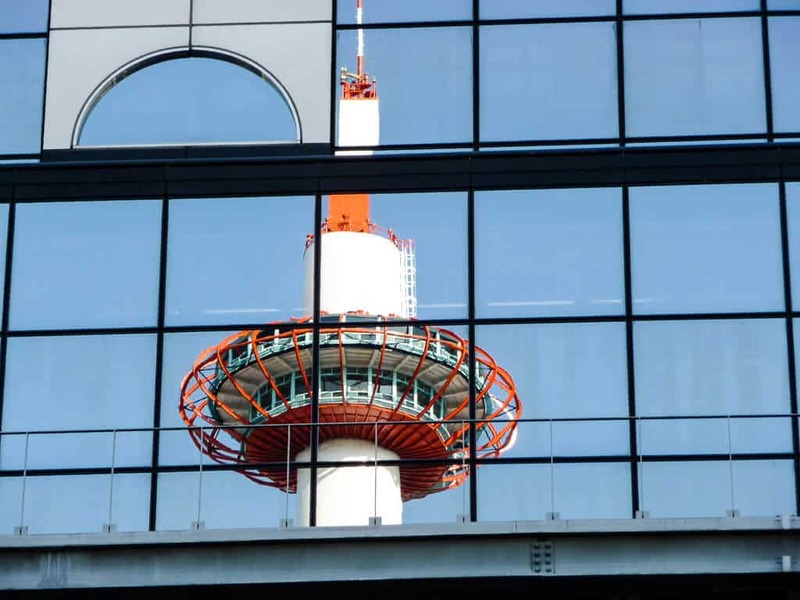 What to see near Kyoto Station? 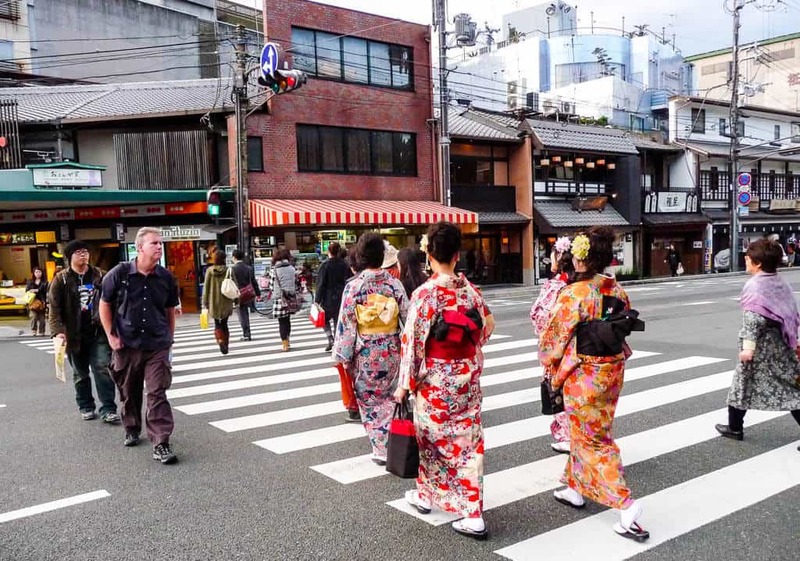 There are three Kyoto districts we would recommend you stay: Downtown Kyoto, Southern Higashiyama and Kyoto Station Area, all for different reasons. Downtown Kyoto is literally in the centre of the city and one of the best places to stay in Kyoto if you love your food and shopping. The name can create some confusion as people assume this isn’t in central Kyoto when in actual fact it is the most central part. This is where we chose to base ourselves and we found we were close to the best restaurants, cafes and shops in Kyoto. So if your idea of an amazing holiday in Japan is to eat great food, drink in wonderful bars and stay in some of the best hotels in Kyoto, this is your area. Downtown Kyoto is also home to the world-famous Nishiki Market which was literally heaven for a food lover like me. This market is packed with stalls and tiny shops generally specialising in one type of food. Here you can buy anything from raw seasonal ingredients to different ‘tabearuki’ eat while you walk snacks. Our favourite place in Downtown Kyoto was Ponotcho Geisha District. This is a narrow road lined with restaurants and bars that do their utmost not to catch your eye. Each entrance is discreet, hardly showing that a restaurant lies behind the doors. We soon learnt that the more discreet the entrance, the more exclusive the restaurants were. Of course, they had prices to match. We were so lucky when we got to Pontocho Geisha District. 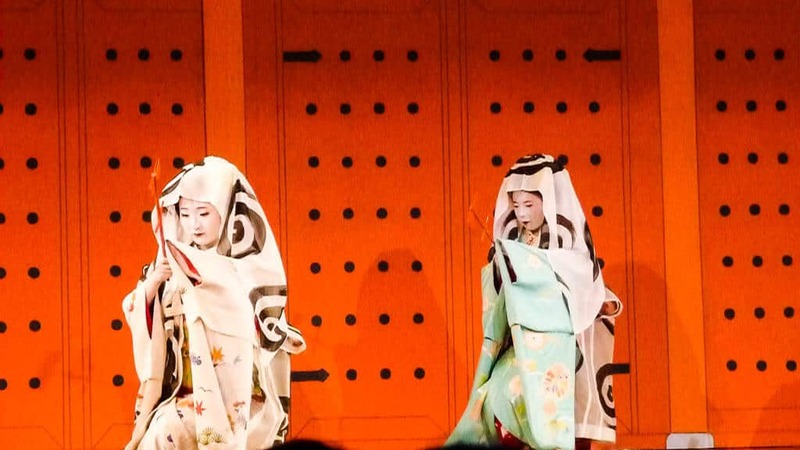 We happened to be there when the Pontojo Kaburenjo theatre was showing one of its bi-annual performances by Geisha apprentices. It was such a spectacle to behold. 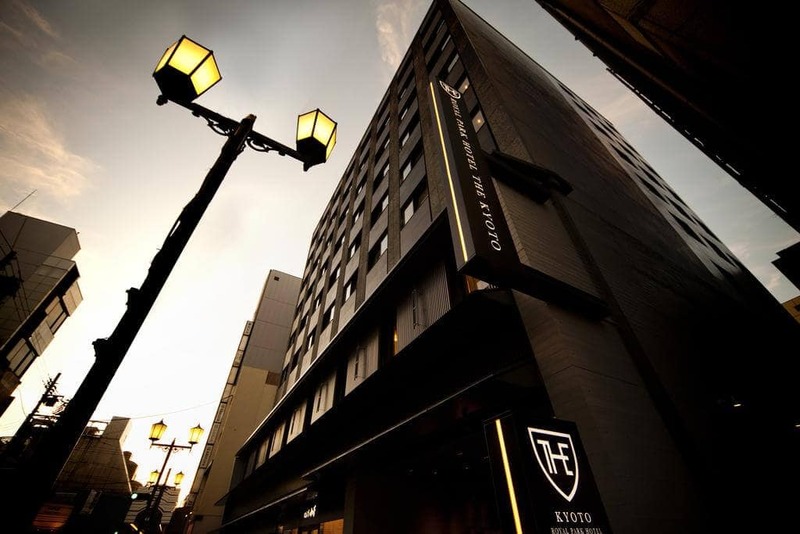 Here are some of our recommended Downtown Kyoto Hotels. This is a truly extraordinary hotel with extremely beautiful rooms and excellent facilities. The location of the hotel couldn’t be more perfect. It is set along the banks of the Kamogawa River and offers panoramic views of the Higashiyama Mountain. If you’re looking for very special accommodation in Kyoto then this is the place to go for. If you’d like to experience authentic Kyoto accommodation then a stay In a Kyoto Machiya (Traditional townhouse) is a must. Iori Machiya has various townhouses in the same area. 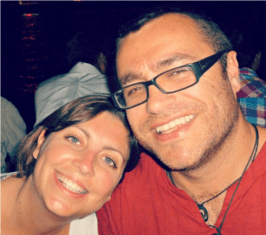 All have been renovated to exceptional standards and are a real experience. The Royal Park hotel offers great value for a 3-star hotel in its location. 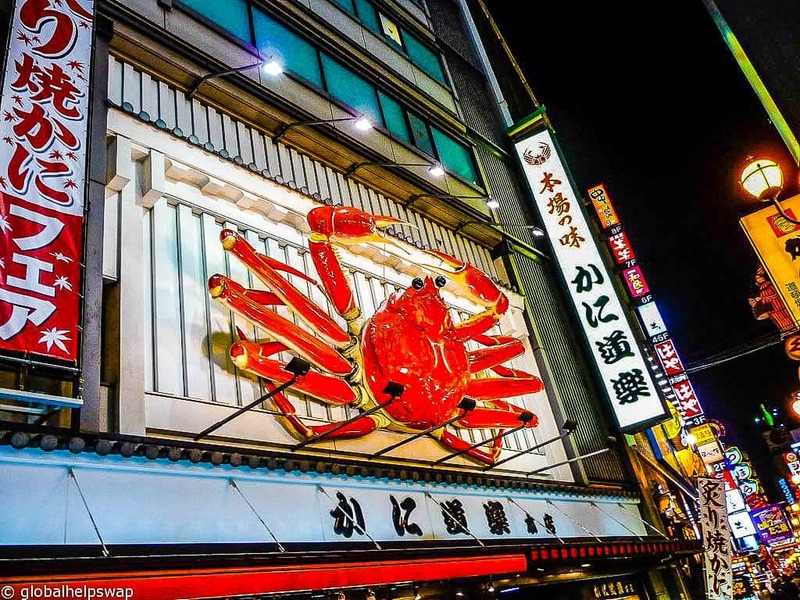 Indeed the location of this hotel is perfect, with some of the best restaurants as well as Nishiki market right on your doorstep. The rooms are clean and functional and the staff are lovely and really helpful. If you’d like to experience a Ryokan in downtown Kyoto without blowing the budget this is a good choice. 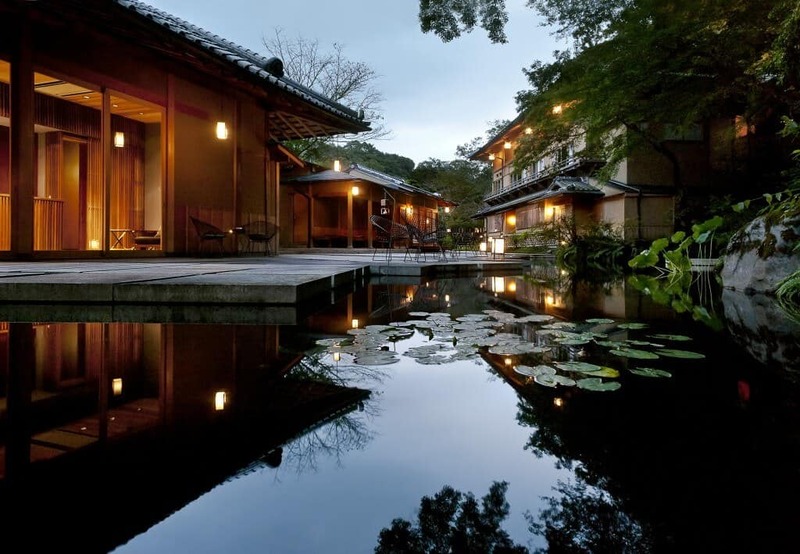 This ryokan offers air-conditioned rooms and private bathrooms. There is also an onsen on site. Beds are Japanese futon style. Southern Higashiyama is close to Kyoto’s most impressive sites and is a destination in itself due to its well-preserved historical buildings. 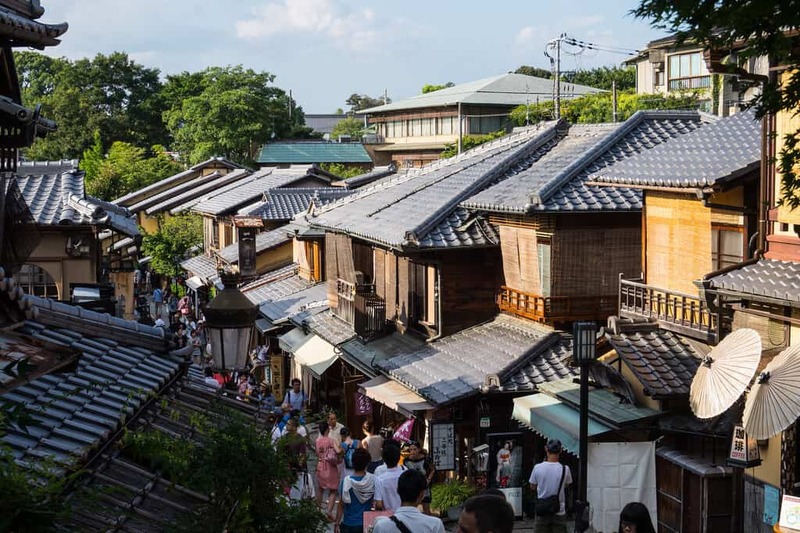 We spent a great day wandering around the traditional streets of Sannenzaka and Ninnenzaka which are lined with traditional wooden buildings, twisting our heads in awe at the beauty that surrounded us. 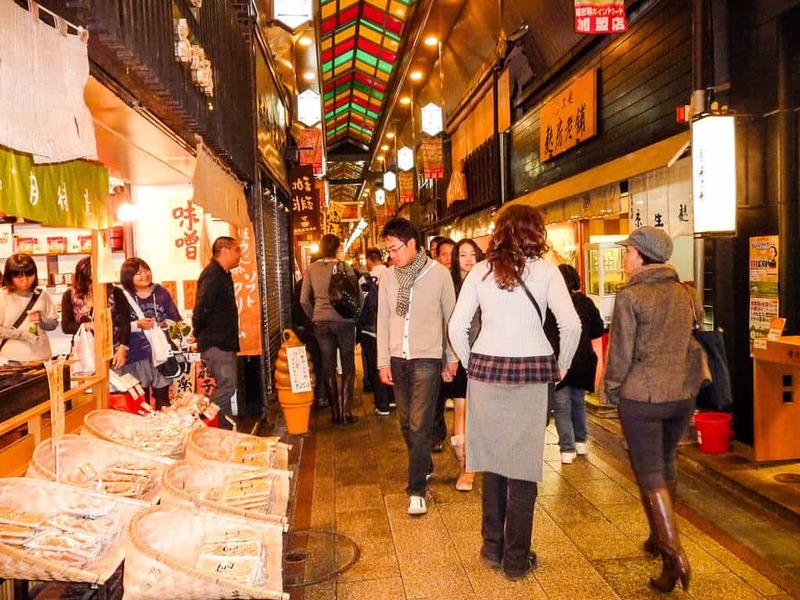 Another beautiful street that is a must visit is Ishibei-Koji Lane which will make you feel like you’ve gone back in time and entered a beautiful street full of traditional inns and elite bars. This is a tiny street at 200 metres long and the best way of finding it is to ask for directions. 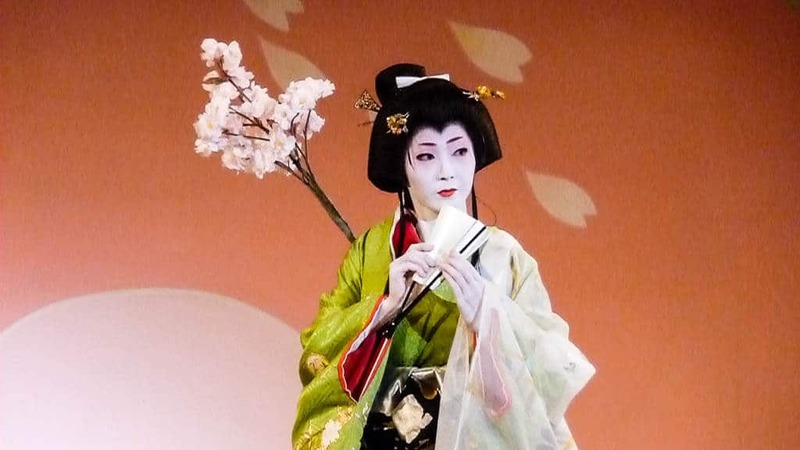 Southern Higashiyama is also home to the main Geisha district Gion. The best street to see geisha is in Hanami-koji in the evening. Although if you do please keep in mind that Geishas don’t appreciate being stopped for photographs. The streets of Southern Higashiyama are dotted with countless temples and shrines full of photo opportunities. Our favourite shrine was the 1350-year-old Yasaka Jinja shrine which is the most famous shrine in Gion. Another favourite was the Kyoto Ebisu Shrine which is one of the country’s most popular shrines to Ebisu, one of the seven gods of fortunes. This beautiful hotel is an oasis of calm in a bustling city. Not only are the rooms stunning, but they also have beautiful views of a historical garden. 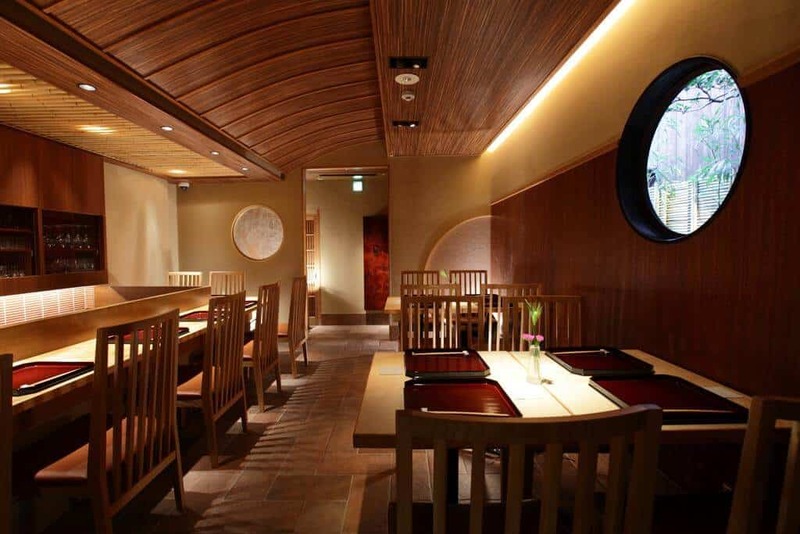 The service here exceeds all expectations and staff will help with all aspects of making your trip to Kyoto a magical. 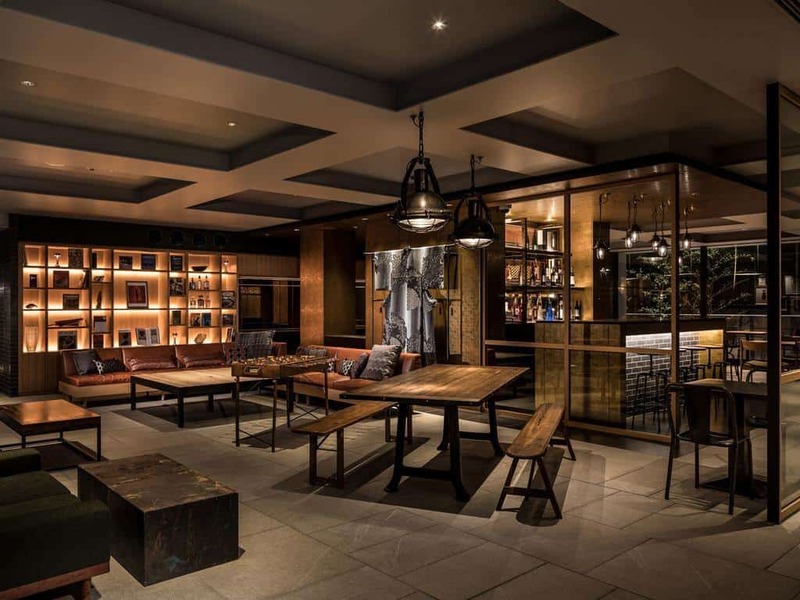 They will gladly assist with getting reservations at hard to get into restaurants and recommend some truly memorable experiences. The facilities here are also excellent. If you are looking for authentic luxury accommodation in Southern Higashiyama, then look no further. 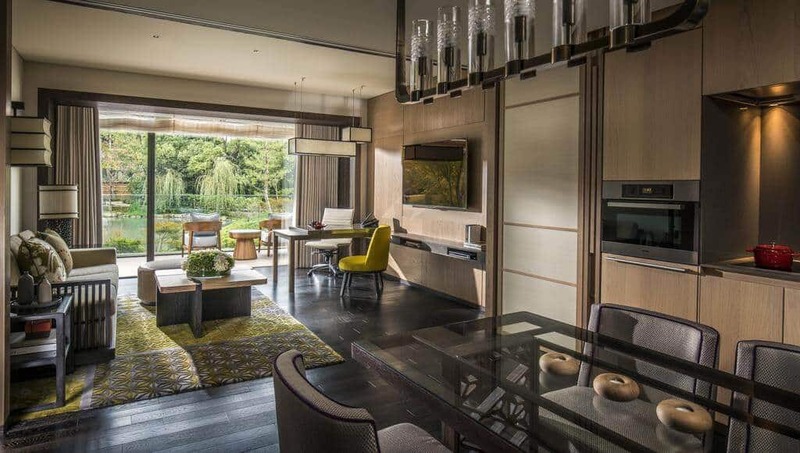 This beautiful Japanese ryokan mixes old world style with modern-day luxury. They offer beds instead of futon mats. This ryokan is in the heart of Gion, right by Kiyomizu temple. 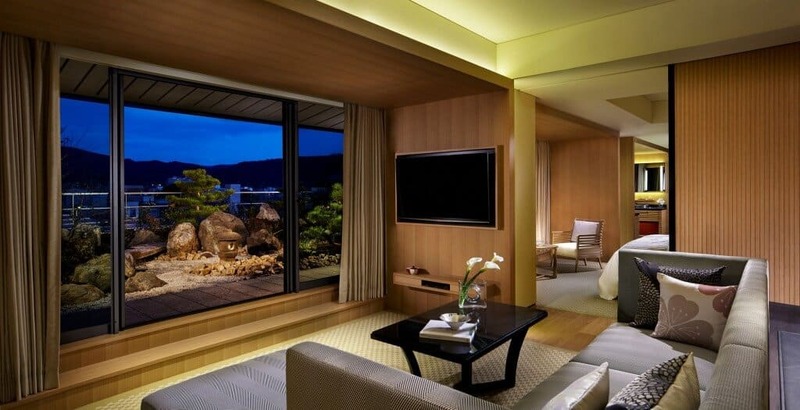 The Kyoto Granbell hotel is one of the best mid-range hotels in Higashiyama Kyoto. 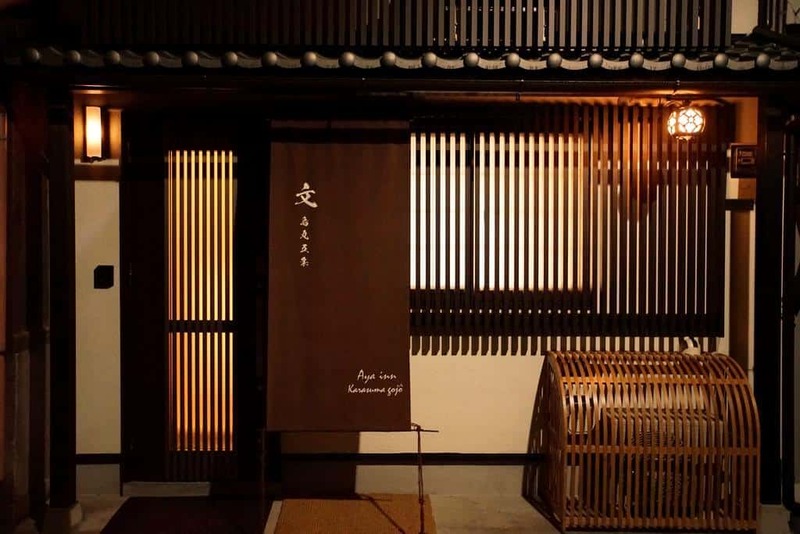 The hotel is a modern designer version of a traditional ryokan, perfectly located in the narrow alleyways of Gion. The basement onsen has a beautiful view of the garden. If you’re looking for a reasonable Kyoto onsen hotel with all the mod cons, this is the one for you. 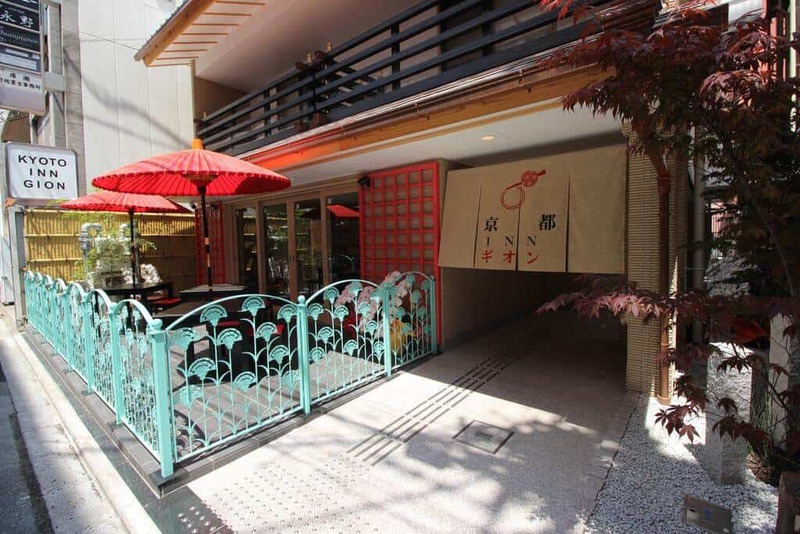 The Kyoto Inn Gion is a great Kyoto budget hotel with an enviable location. The rooms are on the small side but beautifully presented and with all the amenities you need, such as a mini fridge, a kettle and even a set of pyjamas. 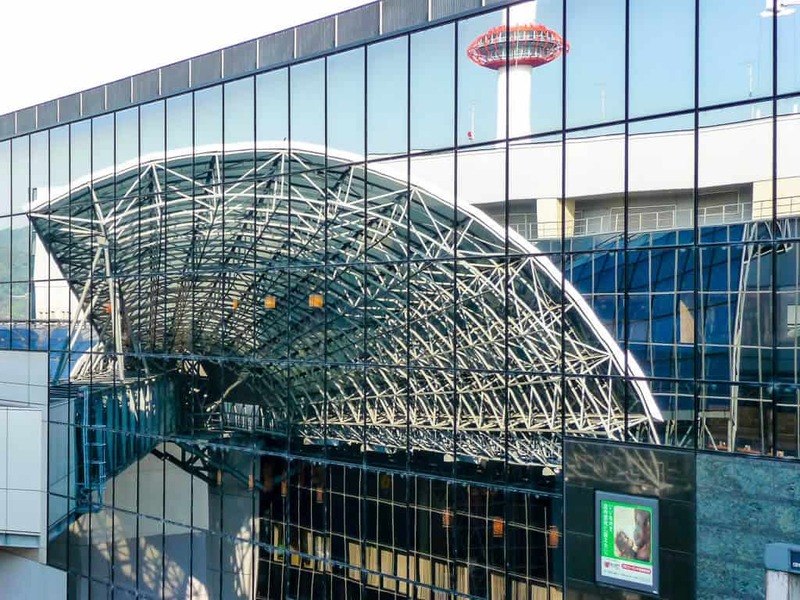 Kyoto station is a good place to stay if you’re planning on taking day trips from Kyoto. Thanks to the amazing bullet trains you can cover a lot of Japan while staying in one place. While staying in Kyoto station would mean taking transport to see some of the top sites in Kyoto, this is the central hub of Kyoto transport so buses and trains will be easy to catch. To make the most of your stay in the Kyoto Station area here are a few recommended day trips. 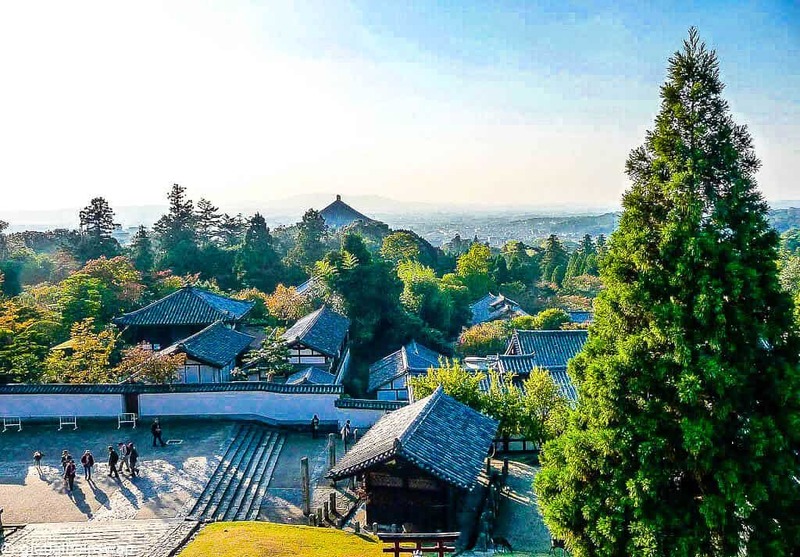 Visit Nara to see the deer park and enjoy the beautiful architecture. The journey from Kyoto to Nara is only 45 minutes long and makes a great day out. The journey from Kyoto to Osaka is a mere 30 minutes so this is another quick trip out of Kyoto. You can visit Osaka castle, Nishinomaru Garden and a number of other attractions here. We would recommend you look into getting the Osaka Amazing Pass which gives you unlimited use of trains and buses for a whole day as well as entry into 35 attractions. The journey from Kyoto to Hiroshima is a longer one at 2.5 hours on the bullet train. Hiroshima is still worth a visit especially for it’s Peace Park. You could also try to fit a visit to Miyajima Island is you can. 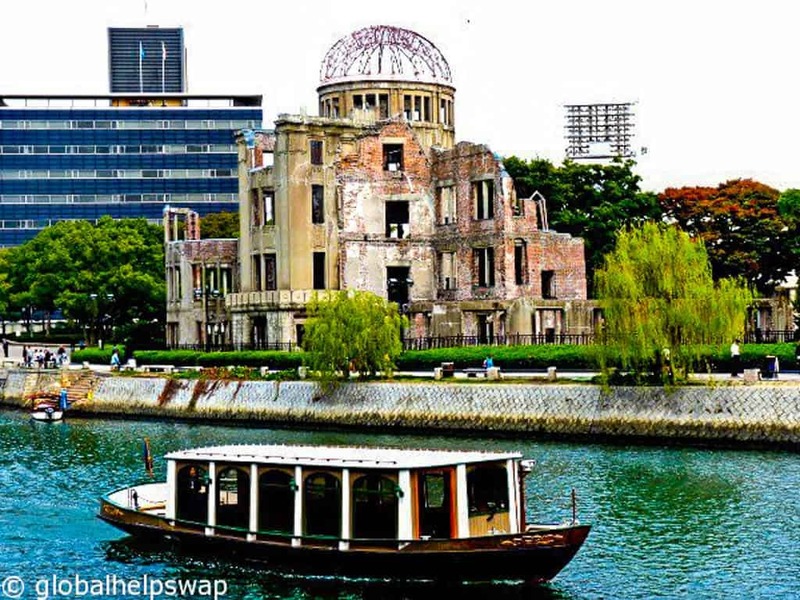 Read our post on our visit to Hiroshima. Just because there are several day trips you can take from Kyoto station, it doesn’t mean there isn’t anything to see in the actual area itself. This towering pagoda is one of the most iconic landmarks of Kyoto. At 55 metres in height, it is also the tallest wooden structure in the world and has been assigned as a UNESCO world heritage site. It’s a 15 minute walk from Kyoto Station. This is a ramen ‘alley’ located on the 10th floor of the station itself. The alley features 9 famous ramen shops from different parts of Japan. Go hungry and try the diverse bowls of ramen that are on offer. 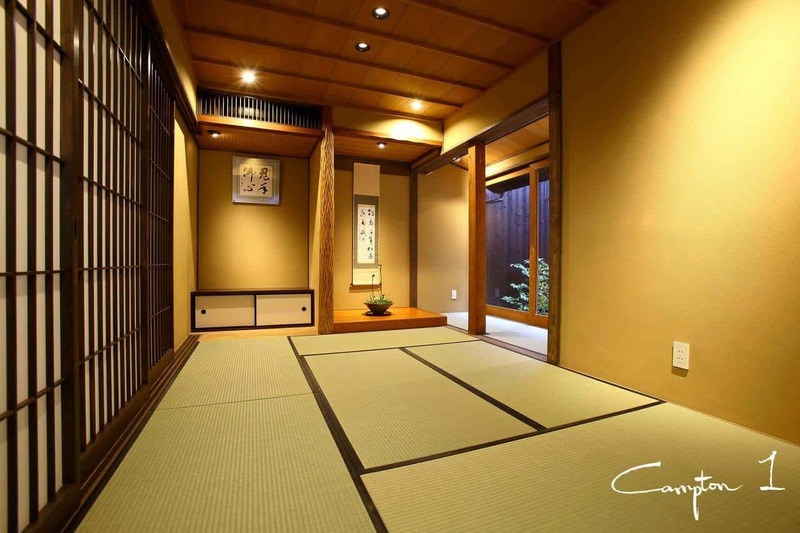 Vacation Rental Campton Ushitora is a luxury Kyoto townhouse that accommodates 6. It has underfloor heating, a wooden Japanese bath and luxury toiletries. 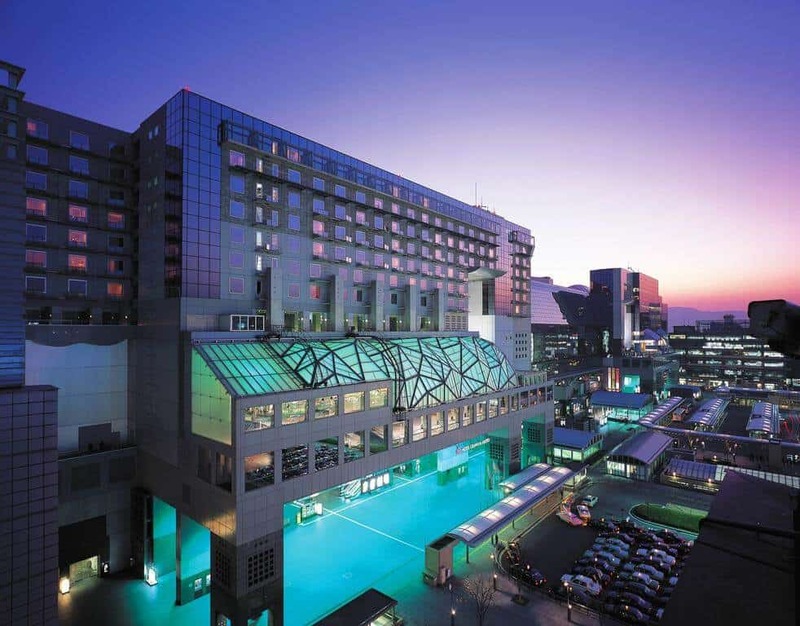 Kyoto Granvia Hotel has an extremely convenient location right above Kyoto Station. While this is not a super luxury hotel the rooms are clean and spacious. If convenience is your priority then this is the place to stay. 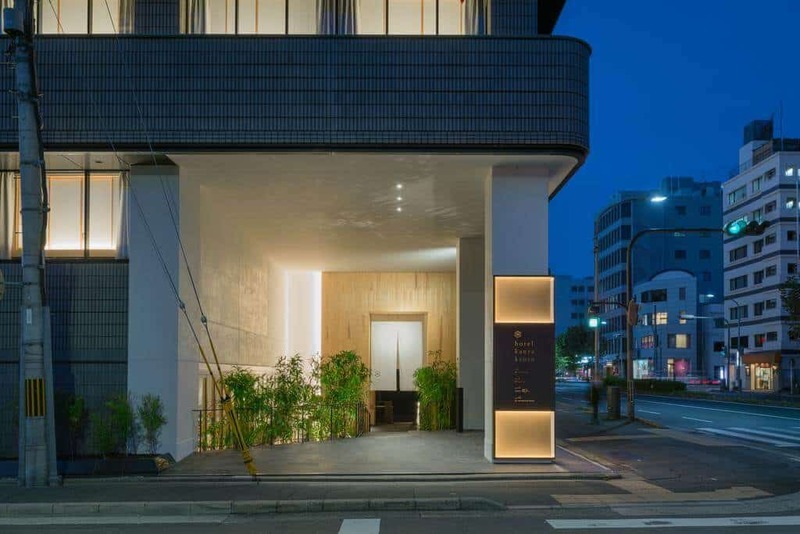 Hotel Kanra Kyoto is a beautiful hotel with a mix of minimalist western and Japanese decor, with wooden japanese baths and very comfortable beds. The beautiful design of this hotel combined with its convenient location and impeccable service make it a top pick in this area. Ohanabo Kyoto is a superb ryokan near Kyoto Station that offers “Kaiseki” multi course in room dinners. 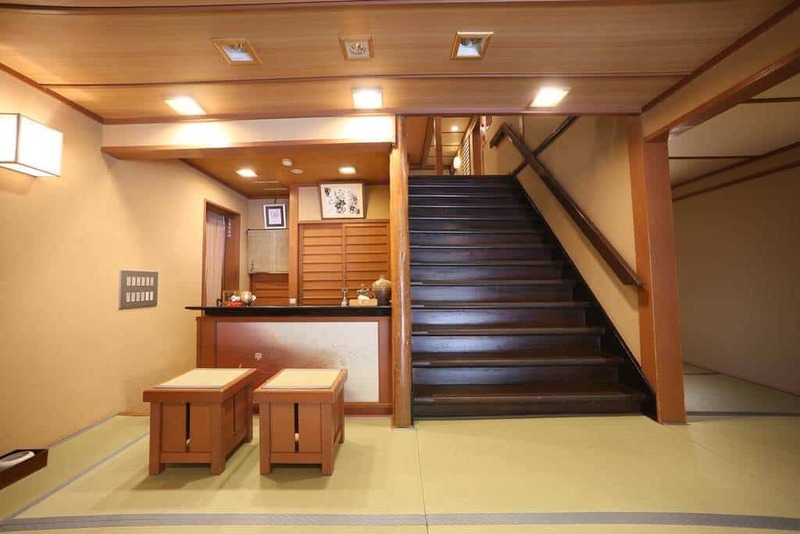 There is a hot public bath in this ryokan while you can also choose rooms with private bathrooms. If you’re looking for a true Japanese experience with fantastic staff, great service and a convenient location near Kyoto station this ryokan is a great choice. 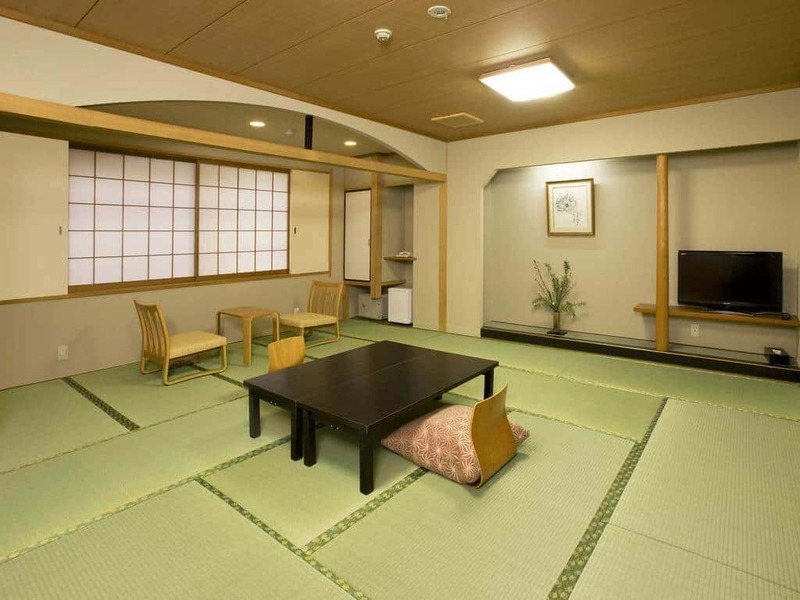 Aya inn is a beautiful 3 bedroom house in Kyoto, around 15 minutes walk away from Kyoto station and garners rave reviews from guests who have stayed here. 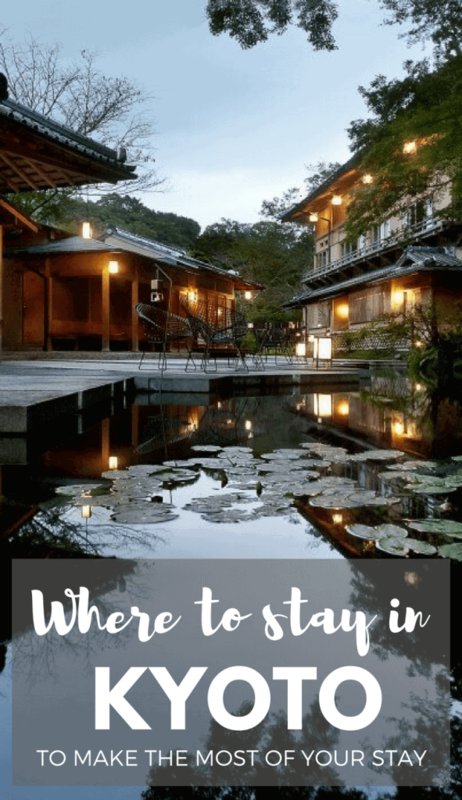 We hope this has helped you get a better idea of the best place to stay in Kyoto for your needs. 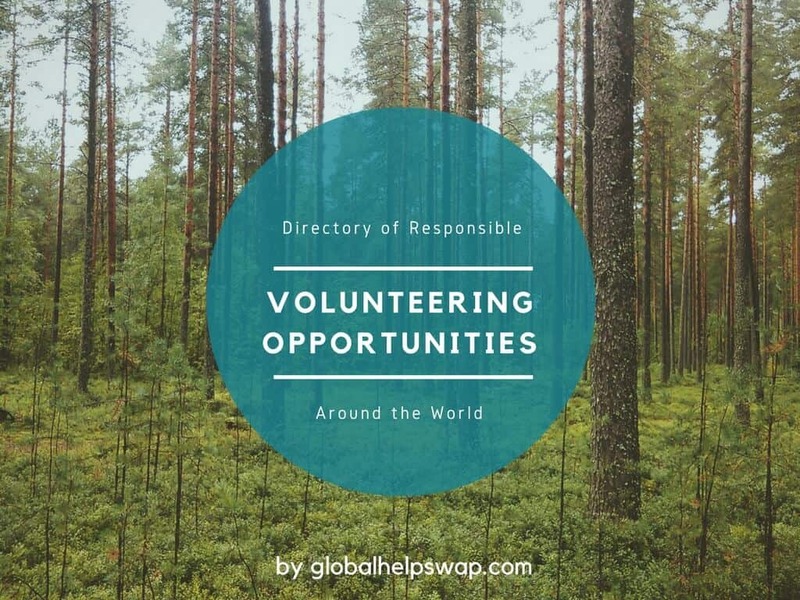 Feel free to ask us any questions in the comment below. 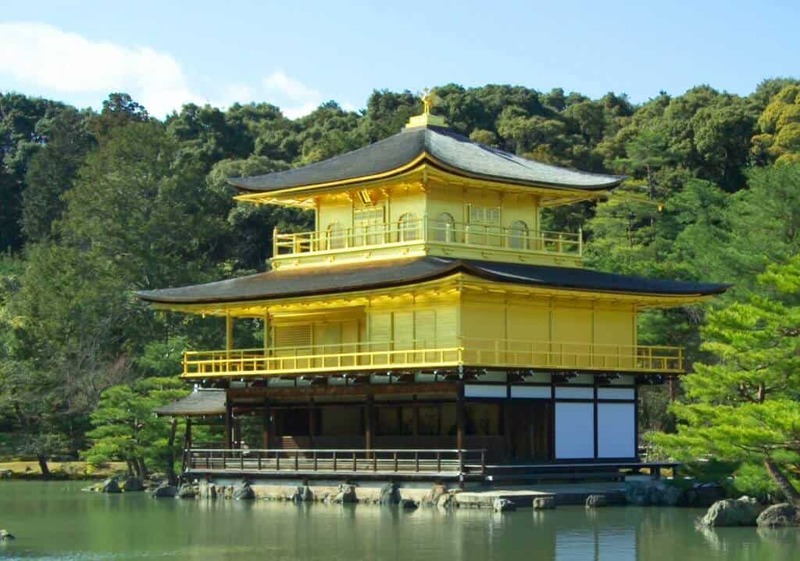 You can also read our post on the top things to do in Kyoto for further ideas. I found something correctable therefore I’ll make comment. – tatami-mat: futon-mat // Japanese plane mat, local traditional sleeping mat. – onsen: it is natural hot springs // indeed some hotel calls “private bath and shower” onsen, but authentic mean of onsen is above “natural hotsprings”. But I impressed how you know well about Japanese culture. thank you explanation Japanese culture like this. Thank you so much for your help and comment. I like your site. I am going to Japan in for Xmas and NYE this year. So where do you recommend to stay out of these three areas? We will be taking the train into Kyoto and I def want to go to Nara one day and then spend one full day just going around Kyoto. I like the proximity of hotels walking distance from Kyoto Station. Do you think with our short stay, we shouldn’t stay downtown and just stay by the station?? Or can we just use public transit and get all around the city easily on the day we want to see everything?? So hard to decide on anything, and this just Kyoto. Hi Cody, thanks. I would say stay by the station if you are only in Kyoto for a few days and the fact that you are popping to Nara. Have a great trip! Have been trying to look for it but didn’t see the place’s name anywhere.